READING, Pa (September 12, 2018) — Brittany Force will be jumping back into her Advance Auto Parts Top Fuel dragster to begin the defense of her 2017 Mello Yello NHRA Top Fuel championship this weekend at the Dodge NHRA Nationals at Maple Grove Raceway. The Countdown, NHRA’s six race playoff dash, will begin and Force will have an added level of comfort starting the playoffs at an event where she has had the most success in her young career. In five races the Top Fuel champion has raced to three final rounds including a win last year over championship runner-up Steve Torrence. A win/loss record of 12-4 gives Force confidence and a level of comfort she can use to her advantage as she looks to reel in Torrence again for the championship. Force hasn’t had this much success at any other track beside Wild Horse Pass Motorsports Park where she has three runner-up finishes. 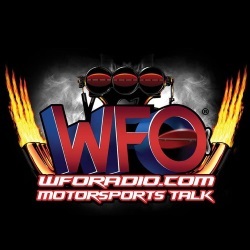 Force’s title defense season got off to a rough start with a massive crash in the first round of the Winternationals, but just four races later the second youngest racing daughter of 16-time Funny Car champion John Force was back in the winner’s circle in Houston. On that tremendous Sunday Force started the race as the No. 2 qualifier and then took out Terry Haddock, Doug Kalitta and Tony Schumacher before outrunning Terry McMillen in the final round. 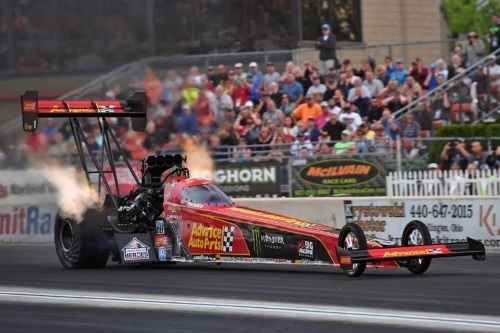 That race would prove to be Force’s regular season highlight as the six year Top Fuel professional battled throughout the regular season to find race day consistency. Force held on and never gave up. She will enter the Countdown as the No. 8 seeded Top Fuel driver a mere 80 points out of the points lead. Last year the win in Reading was followed by a double up win in Dallas, shared with teammate Robert Hight and then a final victory at the season ending Auto Club Finals. Force qualified No. 1, clinched the championship and went on to win the race concluding a rare three hat day which included the green Mello Yello No. 1 qualifier hat, the yellow race win hat and the elusive white Mello Yello champions hat.